This Business Card Magnet with Small Bag of Jelly Belly jelly beans features a variety of flavors. 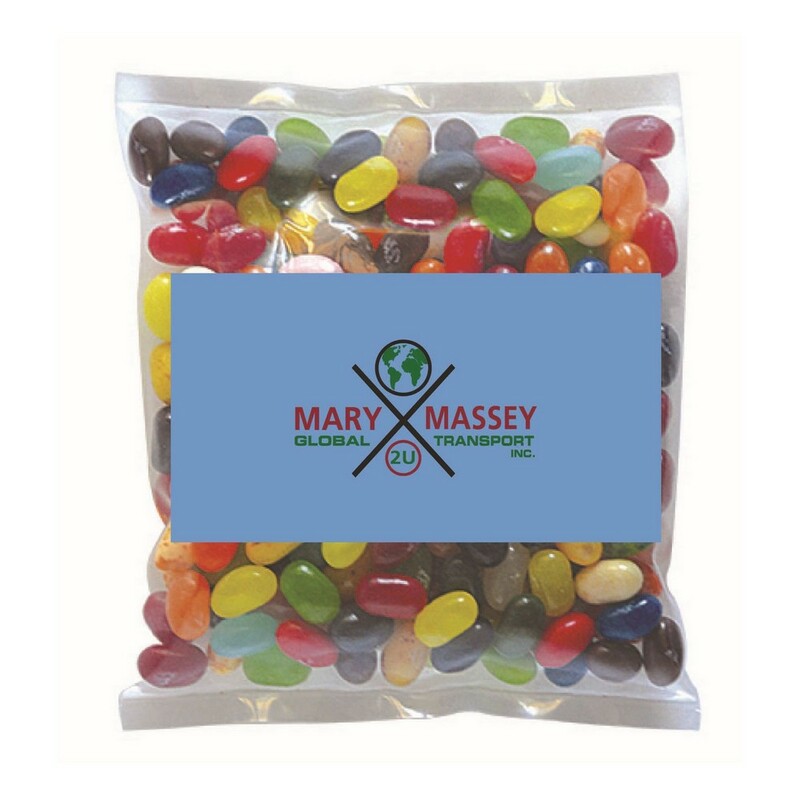 Help your clients and staff relax, after a long and productive day, by giving them the Small Bag of Jelly Belly candies. It comes with a business card magnet to imprint your brand’s logo and other information, which ensures that the clients remember your brand as the best. Featuring a variety of amazing flavors that are both distinct and mild, this classic candy is sure to make a lasting impression on the recipients. This combo can be used as a giveaway for trade shows, holidays, fundraisers, and sales events, to make your brand name omnipresent.